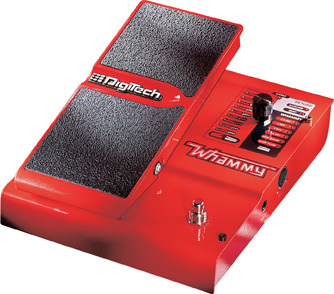 It's been a decade since the Whammy™ was introduced and now it has a permanent place on every professional's pedalboard. This is what has made the Whammy® a legend. Hit after hit, performance after performance, the Whammy™ not only adds to your playing, it creates new sounds, feelings and textures. 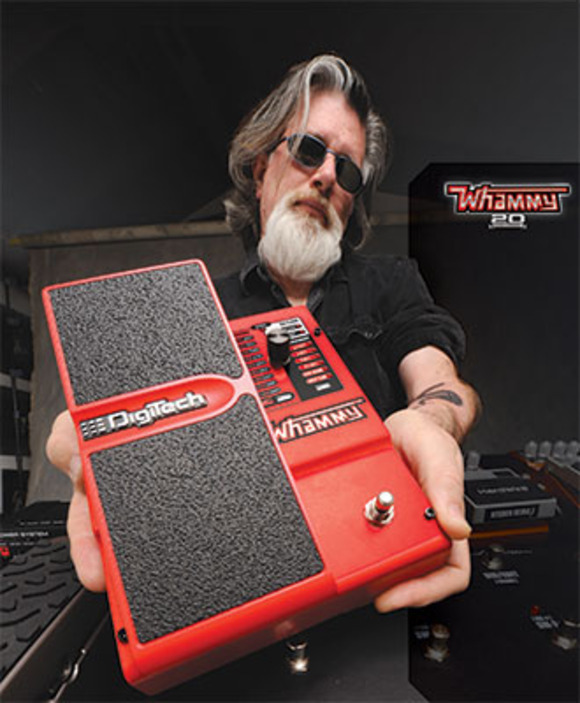 The Whammy™ is simple -- Take your guitar's sound and pitch shift it using a special algorithm, then control that pitch with an expression pedal. So easy and so expressive that it takes your playing to a new world of quirky squeals, monster dive bombs lower than any whammy bar and bends that can only be found on other instruments. It's no wonder why this single pedal is legendary. 2 Oct Up - Bends your input note two octaves up. 1 Oct Up - Bends your input note one octave up. 1 Oct Dn - Bends your input note one octave down. 2 Oct Dn - Bends your input note two octaves down. Dive Bomb - Bends your input note three octaves down. Drop Tune - Bends your input note two semi-tones down with a reversed pedal action. 2nd Up/3rd Up - Bends the harmony between a second (toe up) and a third (toe down) above the input note. Min 3rd Up/3rd Up - Bends the harmony between a minor third (toe up) and a Major third (toe down) above the input note. 3rd Up/4th Up - Bends the harmony between a third (toe up) and a fourth (toe down) above the input note. 4th Up/5th Up - Bends the harmony between a fourth (toe up) and a fifth (toe down) above the input note. 5th Up/6th Up - Bends the harmony between a fifth (toe up) and a sixth (toe down) above the input note. 4th Up/7th Up - Bends the harmony between a fourth (toe up) and a seventh (toe down) above the input note. 4th Dn/3rd Dn - Bends the harmony between a fourth (toe up) and a third (toe down) below the input note. 5th Dn/4th Dn - Bends the harmony between a fifth (toe up) and a fourth (toe down) below the input note. Oct Up/Oct Dn - Bends the harmony between one octave below (toe up) and one octave above (toe down) the input note. Shallow - The signal is shifted slightly out of tune from the original pitch and mixed with the original. Deep - The signal is shifted substantially out of tune from the input signal and mixed with the original. 6 Whammy modes including famous 2 Octave Up as heard on 100's of songs! 10 Harmony Bend modes including 2nd Up to 3rd Up simulating pedal steel bends! 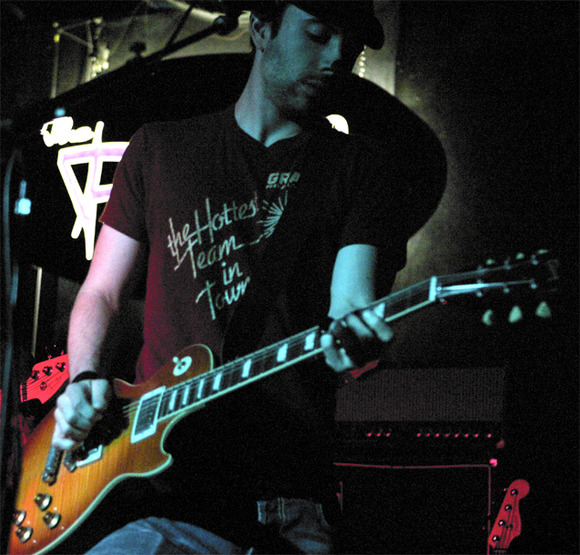 Cutting-edge pitch detection engine designed specifically for guitar delivers fast accurate shifting! Tony Goff / I Died Trying. What is the Whammy 4? What does it do? What is the MIDI port used for on the Whammy 4? The new Whammy is a modern version of the original red WH-1 Whammy introduced by DigiTech 9 years ago. The basic form has been maintained with only a few cosmetic changes to bring it up to date with the latest DigiTech look. 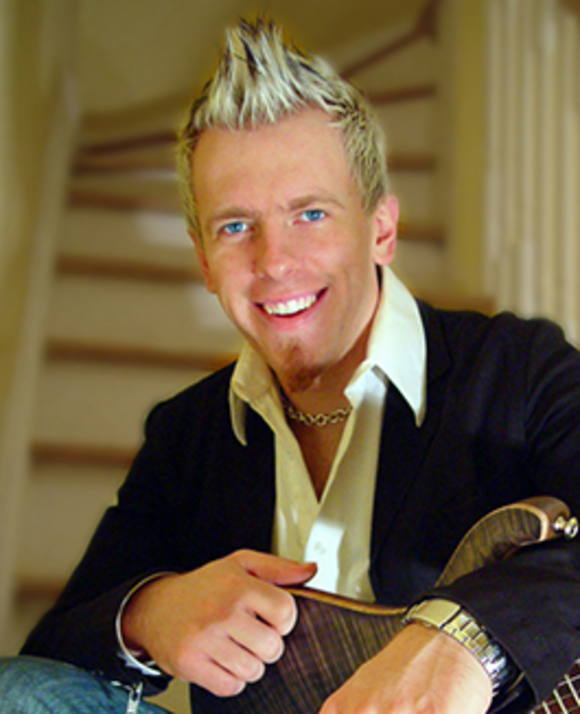 But the performance and sound is reminiscent to that of the original Whammy every guitarist covets. 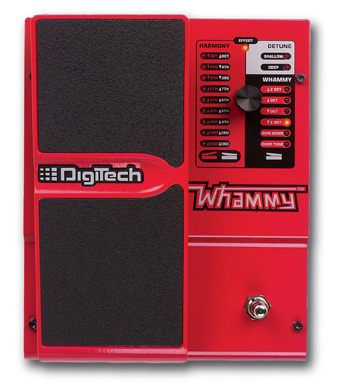 All the favorite Whammy settings of old are available again at the touch of a knob. LEDs indicate the current whammy setting and a heavy-duty vacuum cleaner style momentary foot switch enables and disables the effect. A new addition to this Whammy is the MIDI In jack, allowing remote control of the Whammy effect via any MIDI controlling device. Both Whammy type and control are accomplished via MIDI program changes and CC messages respectively. 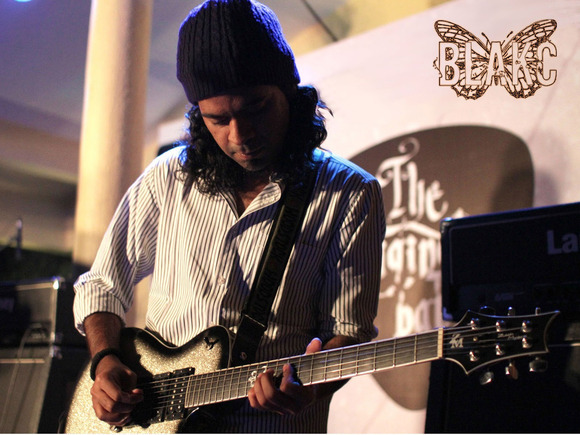 Also new is the Dive Bomb Whammy type, giving the effect of a Floyd Rose whammy bar pushed all the way to the body of the guitar. The Wet Added and Dry outputs are standard outputs and the unit is powered by a PS750 power supply. 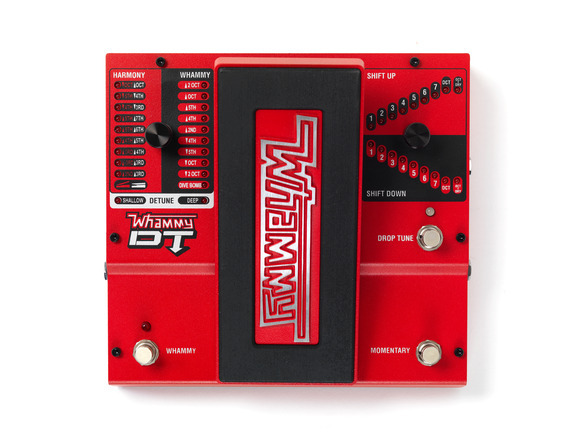 What is the reset and pedal calibration for the Whammy 4? Press and hold the silver footswitch. Wait until the light blinks several times. Move the pedal all the way through it's full range of motion. Press and release the silver footswitch again. 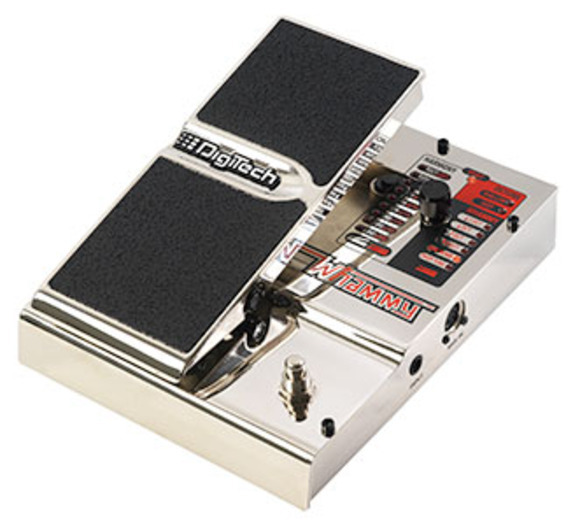 Start with the expression pedal in the Toe down position (pedal forward).